A Light Emitting Diode (LED) consists of a semiconductor that emits light when an electrical current is passed through it. This differs from traditional incandescent lamps that use heat to alight a filament which then glows. It’s predicted that LEDs are the future of lighting, with halogens facing a ban across Europe in the coming years. This can vary depending on the lamp. Standard spotlights and bulbs will last up to 25,000 hours. Heavy duty LED products such as floodlights and commercial lighting will last between 35,000 and 50,000 hours. On average, halogen equivalents will last approximately 3,000 hours. The up-front cost on LEDs is more than halogens. True. But LEDs use up to 90% less energy than halogen lamps, meaning you will often recoup your investment within just 6 months. And the best bit is, you’ll continue saving money on your bills every month thereafter. LED lamps are highly energy efficient, using up to 90% less energy than traditional lighting sources. The average household lighting bill is £300 a year and switching over to LED could save you £270, which turns into thousands over the bulb’s predicted 15 year lifespan. The IP (Ingress Protection) rating of an electrical product is a guide that’s used to detail the strength of an enclosure that surrounds electrical components. In relation to LED bulbs, the IP rating measures tolerance against dust particles and water or liquids. The first digit is in relation to solids, the second liquids. 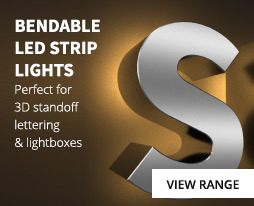 For example, an IP67 rating means that the LED is totally protected against dust and water to a depth of 6-39inches. Click here to view an IP Rating table. LED bulbs run significantly cooler than other types of lighting like halogen or even CFLs as heat is dissipated by metal sinks that take heat away from the light source. This maintains the lifespan of the LED bulbs, however they will get hotter the longer they’re kept on. Does an LED give the same brightness as halogen and incandescent bulbs? Yes. As well as having identical fittings, LEDs can also offer you the same level of brightness as your current bulbs. 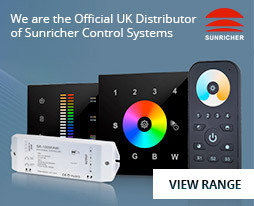 In fact, our new range of GU10s and MR16s come with halogen wattage equivalents to make your choice even easier.